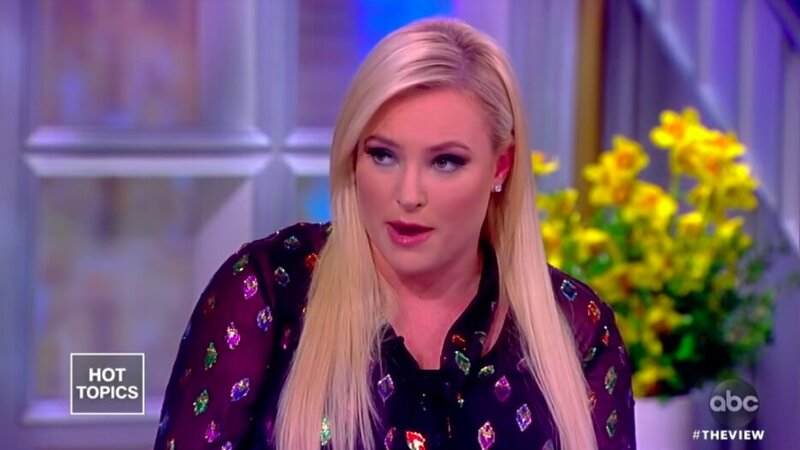 Tuesday’s episode of “The View” got extremely heated when the show’s token conservative, Meghan McCain, went head-to-head with co-host Sunny Hostin over Democrats’ support for state-sanctioned infanticide. The discussion came up after the Senate Democrats blocked a Republican bill, the Born-Alive Abortion Survivors Protection Act, which would save the lives of babies born after a failed abortion and hold medical personnel responsible for ensuring they receive proper care. The bill, which was co-authored by Senator Ben Sasse (R-Neb. ), was voted down by Senate Democrats Monday. The topic of the bill surfaced on “The View” after the co-hosts discussed t a recent statement made by Democratic New York Rep. Alexandria Ocasio-Cortez in which she questioned whether or not young people should have children because of climate change. The conversation then turned to Monday’s controversial Senate vote. McCain explained the specifics of what the bill contained, then pointed out that the Senate Democrats voted to block the protection against infants. “So that means these Democrats believe that a baby born, after a botched abortion, should not receive medical care,” McCain said. McCain’s colleagues tried to chime in, but she cut them off, asking them to let her finish. “I thought that you were pro-life like me?” McCain said in response to Hostin’s comments. “So you think a baby born from a botched abortion should be put down like a dog or a cat?” McCain questioned in disbelief. Hostin then proceeded to explain why she thought McCain was exaggerating. She went on to claim that failed abortions are “truly rare,” noting that even when they do happen, doctors are already supposed to provide medical care for the baby. Following the heated discussion Tuesday, McCain took to Twitter to elaborate on her views. “I’m pro-life, and not in the talking point of ‘not for me but okay for other people’ sense,” she wrote. I’m pro-life, and not in the talking point of “not for me but okay for other people” sense. I stand by what I said this morning, if the Democratic Party wants to be the party of late term abortion and infanticide, they won't just lose – history will judge them for what they did.